Iceberg area of ​​about six thousand square kilometers (for comparison, the area of ​​Moscow 2.5 thousand square kilometers) began moving towards South America and entered the Weddell Sea, the channel “360 °” with reference to the BBC. The iceberg with an area of ​​about six thousand square kilometers, which broke away from Antarctica in July, began moving towards South America and has already entered the Weddell Sea. For several months, he cruised near the shore, but now the waters carried him north. Experts say that after he leaves the Weddell Sea and enters the Atlantic, the local currents will begin to push a huge block of ice to the east. Scientists have already recorded several cracks that will allow some chunks to split. It is noted that if they are in shallow water, they will be stuck. Over time, they may well gain a foothold and remain on the cards, like ice islands. The iceberg has been observed from satellites for several years, but due to the increase in daylight hours, it will be recorded how the state of the ice giant will change. The iceberg broke away from Antarctica on July 10-12 this year. Scientists who observed several years for its formation, predicted this event. The split of the future giant was found in 2010. For seven years the fissure deepened, until finally the iceberg separated completely. 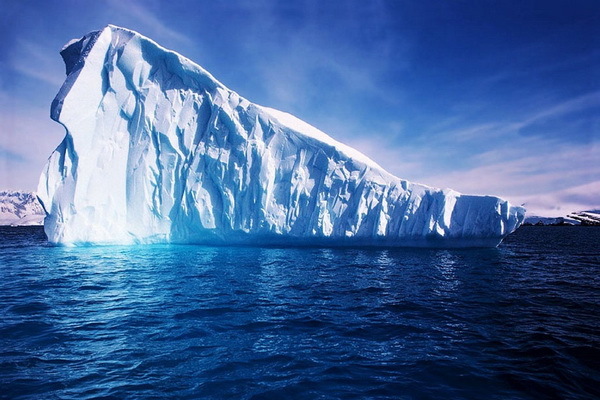 According to scientists, the iceberg will move slowly enough, but it can accelerate sea currents and take them to places where it will present a real danger to sea vessels.